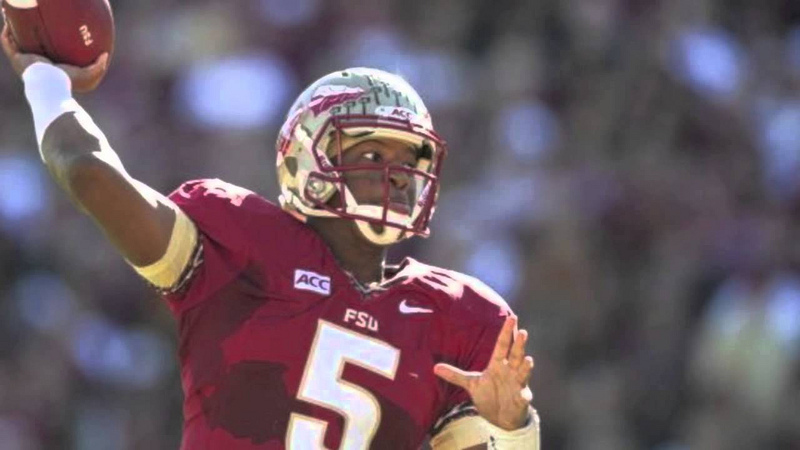 Was Jameis Winston’s 2013 Heisman Season the Best…Ever? In a few hours Florida State QB Jameis Winston will be crowned the winner of the 2013 Heisman trophy, becoming just the second freshman (Case Keenum Johnny Manziel being the other) to earn that distinction. While it is difficult to argue that anyone else has been more impressive in 2013, I am curious about how Winston stacks up to other 19 year old college QBs. As you read in Tyler Wilson and the curse of the old QB, age DOES matter when evaluating college prospects, so let’s take a look at the greatest 19 year old quarterback seasons in my database. NOTE: These numbers are based on games played against bowl-eligible opponents. Click here to read more about this methodology. Hands down, no debating, Winston’s 2013 season was the best 19 year old QB season ever. His Adjusted Yards per Attempt (AY/A) was 51% better than the second best player and it’s not like this list is a bunch of nobodies. Kolb, Smith, Stafford, and Henne were round 1-2 selections. Marcus Mariota and Brett Hundley will likely continue that trend when they declare. Impressive stuff. Understanding that Winston is a young phenom, let’s see how he stacks up to the best passers in ACC (recent) history. Again, Jameis Winston finds himself comfortably atop a list that includes four first round picks and a handful of other strong players. Let’s remember that Leinart won the Heisman and a national championship that year, VY should have won the Heisman and DID win a national championship. Tebow was coming off a Heisman and also won the NC. So, even if you’re trying to discount his performance because of his team, he clearly outperformed others in that same situation. Thus far we’ve established that Winston’s 2013 was the best 19 year old season, the best ACC season, and the best season among QBs on dominant, title-contending teams. 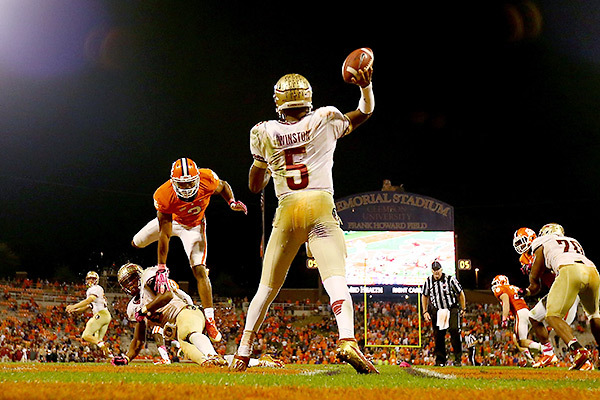 To the final question: Was Jameis Winston’s 2013 Heisman Season the Best…Ever? Here’s a look at the highest graded QB seasons in my database of more than 500+ college seasons. Of the 11 other quarterbacks on this list, seven were first round picks and nine were drafted in the first three rounds. While I am far from declaring Jameis Winston to be the greatest prospect or greatest college quarterback, I think it’s fair to say that his 2013 might have been the greatest college QB season of all time. I know that’s a bold claim, but no matter how I slice it, I can’t come to any other conclusion. If you thought this article was stupid, awesome, or somewhere in between continue this conversation with me on Google+ or Twitter.